The spokesman for the Patriarchate welcomes the proposal by the presidential candidate to introduce Russian language tests for immigrants and to toughen laws. Moscow (AsiaNews) - The Russian Orthodox Church has expressed its support for the proposal of the Prime Minister and presidential candidate Vladimir Putin for a crackdown on immigration in Russia. 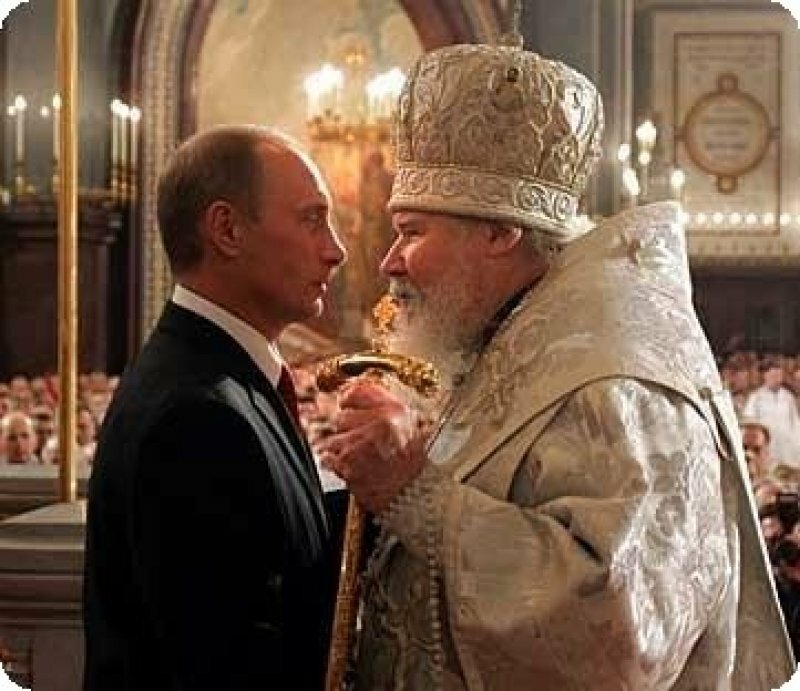 This according to spokesman for the Moscow Patriarchate, Archpriest Vsevolod Chaplin, who is increasingly under the spotlight since the Church has emerged as a possible moderator between the opposition calling for a "Russia without Putin" and the central power, that wants to perpetuate the status quo. "It is positive that the issue has been raised and that is to say that illegal immigration must be curbed with more stringent rules," said Chaplin, head of the Patriarchate Department for Relations with society. "I think most people will support these measures, which will become proposed laws in the near future," he said in an interview with Interfax. If elected president on March 4, Putin has proposed examinations in Russian language, history and law for immigrants to get a residence permit. Leveraging on "national and religious identity", the premier has also proposed stricter rules on immigration and internal trials for those who violate criminal laws. It is a sensitive issue in Russia. Putin and President Dmitri Medvedev, have addressed it several times in the last year, after tensions between football fans in December 2010 transformed itself into a real urban warfare involving nationalists and Caucasian immigrants. According to experts, the prime minister is trying to rally support among nationalists who support the protest movement against electoral fraud in the law of 4 December. Putin has distanced himself from the nationalists, however, warning that the attempt to build a mono-ethnic nation is "the shortest route to the destruction of the Russian State and people." Chaplin agrees with the head of the government that there must be no room for hatred or hostility based on ethnicity. "Representatives of different countries are already suffering today and this hostility is an issue that should be treated with utmost care, because it can lead to conflicts threatening the future of Russia," warns the representative of the Patriarchate. Even though immigration is the lifeblood for the Federation which for decades is languishing in "demographic coma”, it has become a source of strong tensions. Thanks to immigration, experts believe in 2011 Russia reversed the demographic trend from negative to positive, for first time in over 20 years.